If you have questions about any of our dental services or a service not listed here, please contact us here or call our office directly at 313.343.8790. Developing a ‘bad bite’ or malocclusion can be recognized as early as 2-3 years old. 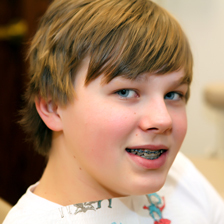 Often, early steps can be taken to reduce the need for major orthodontic treatment at a later age. 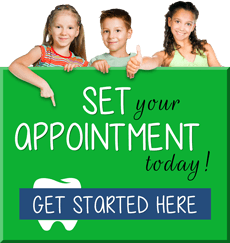 At Toothworks Pediatric Dentistry, when Dr. Harvey checks your child’s mouth she is checking for more than just decay. Preserving space for unerupted permanent teeth. Creating room for crowded, erupting teeth. Creating facial symmetry through influencing jaw growth. Reducing the risk of trauma to protruding front teeth. Interceptive orthodontics may prevent the development of improper positioning of the teeth or jaws, or reduce its severity, therefore making future orthodontic treatment less complicated and more successful. Advantages of early treatment include normal future growth and development, improvement of facial appearance, self-esteem, and may avoid or decrease the possibility for the extraction of your child’s teeth when they are older. The American Association of Orthodontists recommends that the initial orthodontic evaluation should occur at the first sign of orthodontic problems or no later than age 7. At this early age, orthodontic treatment may not be necessary, but vigilant examination and prudent intervention can help guide growth and development. Dr. Harvey may recommend an early referral to a local orthodontist and will help facilitate preventive care during the orthodontic treatment for your child. Our Grosse Pointe sports dentists know from experience that mouthguards are not only essential for football players, boxers and hockey players. Athletes in many non-contact sports such as roller blading, gymnastics, soccer, volleyball, baseball, wrestling and skateboarding experience unnecessary injuries to their teeth, mouth and jaw that can be prevented by wearing mouthguards properly fitted by our Grosse Pointe sports dentist. The overall cost of repairing a tooth well exceeds the minor cost of a properly fitted mouthguard. Our Grosse Pointe mouth guard dentists can ensure proper fit and function of your child’s mouthguard to help prevent costly and debilitating oral or facial injuries during sports participation. Sports mouthguards are worn over your upper teeth to protect against injury during sports participation. A properly fitted mouthguard should be sturdy and durable, easy to clean, comfortable, resist tears, and should not restrict breathing or talking. Our Grosse Pointe dentist will create a custom mouthguard designed to protect your teeth from a contact injury to your mouth or facial area. Stock: A basic mouthguard that is inexpensive, comes ready to wear and can be found at sporting good stores. These pre-formed mouthguards are uncomfortable, disrupt breathing or talking and provide minimal protection. In addition, you cannot adjust them to fit properly and — because of this — Grosse Pointe dentist Dawn Yuen Harvey D.D.S., M.S. does not recommend this type of mouth protection. Vacuum or Laminate-Pressed: These are custom-fitted in a dental office or lab based on your dentist's instructions. First, your Grosse Pointe dentist will make an impression of your teeth and mold a mouthguard over the model using a special material. Due to the materials used and precise tooling required to ensure proper fit, these mouthguards cost more but offer more comfort and protection. To learn more about Grosse Pointe pediatric dentist Dawn Yuen Harvey D.D.S., M.S., any of our orthodontic pediatric dental services or to request an appointment, please contact us here or call our office directly at 313.343.8790.